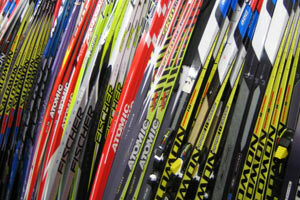 Berkshire Outfitters outfits skiers of all abilities, from racers to backcountry skiers you will find the best selection and prices on skis, boots, poles and equipment from top manufacturers you know and trust. Ask about Berkshire Outfitters' special pricing for teams and clubs! Berkshire Outfitters stocks glide and kick waxes for every temperature and snow condition possible.Pick up tools, wax removers, vises, scrapers, brushes and more! Don't feel like waxing your own skis? Berkshire Outfitters will gladly do it for you as one of their many services.